Ayurveda is recognized as one of the most ancient systems of healthcare known to man. It was in practice ever since and was initially established at least 5,000 years back. Ayurveda means science of life: ‘ayu’ being the Sanskrit word for ‘life’ and ‘veda’ for ‘knowledge’. The integrated relation of mind, body, sense and the spirit is referred to as ‘ayu’. As its name implies, ayurveda is a body of knowledge- of wisdom – which covers all aspects of our lives. It is holistic in the true sense of the term. Ayurveda not only intends to eliminate the underlying cause of the disease, it begins from an altogether deeper level. Thereby making a balance within the body and soul that functions as an effective shield against illness. Ayurherbs offers services such as individualised consultation, dosha assessment, prescribing ayurvedic herbs, advice in the lifestyle changes, Ayurvedic diet management for the alleviation of the disease and to strengthen the immune system, yoga practice and Panchakarma detox treatments. The proposed services are based on the ancient healing technique leveraging Kerala Panchakarma. In Ayurveda, the prevention of disease is much more significant than its cure. It’s a lot easier to look after one’s health than to heal a disease. Ayurveda is a way of life. It’s the traditional Indian healing for stability and health, covering all facets of life and life style. Familiarity using Ayurveda equips one for intelligent living. Panchamahabhuta– the five components of the whole creation, the three doshas or primary forces of prana or vata (air), agni or pitta (fire) and soma or kapha (water and earth) as comprising basic principles of Ayurveda. Vata moves within your system, Pitta is transformed within the body and Kapha is obligated within the body. These will be the three vehicles of change within the body. They are generally called the three humors. These acts are a constant process and they’re diversely performed within a material complex of the human body. Ayurvedic treatments are perfect since they counteract degenerative procedures, toxic build up and psychological stress. These are very undesirable characteristics of contemporary life. All are targeted towards detox and rejuvenate, both externally and internally. After all the ultimate goal is being great health, longevity and spiritual enrichment. Ayurveda is the science of healthful living. It’s main points of focus are well being optimization, illness prevention and health promotion. Ayurveda is the primary holistic science defining health as four dimensional state of well being. It is of your body, mind, senses and spirit. This, science of life, influences upon all facets of the way to live in a healthful, joyful, and fulfilling manner. Its range comprises of how to boost your digestion, practical methods of seasonal and daily regimens to embrace wellness promotion. It also suggests practical ways to love yourself and ways to nourish your skin. Ayurveda advocates to deep dive to ascertain the main cause of the reason you manifest ailments in the first place. Whereas modern medicine tends to concentrate on assisting you to manage the indicators of your health issues. Ayurveda motivates us to move beyond analyzing our outward symptoms and our physical body. Because all the four measurements of ayurveda ie. body, mind, spirit and perceptions play a part in manifesting illness and the health. So we must also examine emotions, mind and some any existential suffering. That is the reason, when practiced in its conventional manner (not only as a medication prescribing profession), ayurveda leaves no part of your lifestyle unexamined in the patient intake procedure. Ayurveda is a wonderful complement to western medicine because it paves a path for patients to truly practice health promotion and disease prevention. 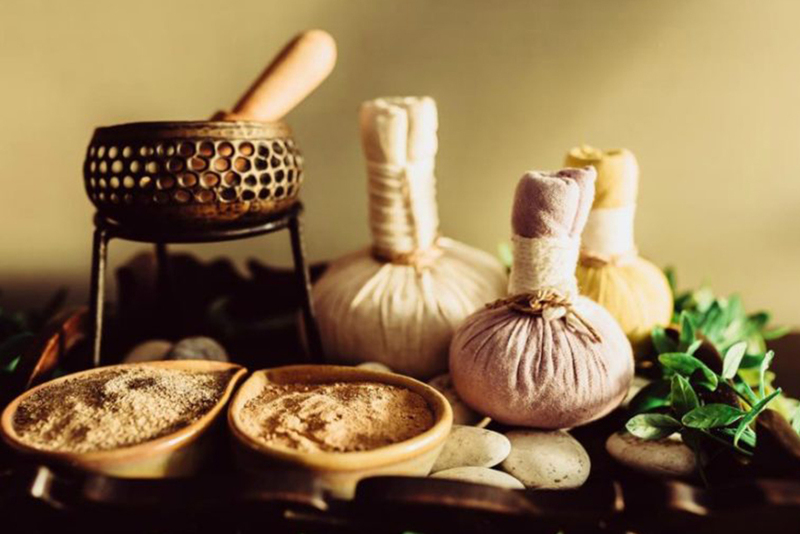 Ayurveda enables you to make health promoting alternatives to reclaim wellness at each level; physical, mental, emotional and spiritual.In fact, Ayurveda is a method of life that rejuvenates your entire body, strengthens the spirit and soothing your mind. Ayurveda is a knowledge based system, a friendly system, an ecologically viable system. Thus living with Ayurveda ideally, should be a natural agenda for one and all. Ayurveda provides a holistic path to intelligent living, making perfect health a matter of choice. Experience Ayurveda, and change your life! Rejuvenation therapy or rasayana is among the eight main branches of Ayurveda and is suggested to increase ojas (life force) after detoxification procedures. It is also excellent for the elderly, pregnant woman, children, those that are nervously run down, debilitated or emaciated, when convalescing, following childbirth, and for anemia and vata conditions. Modern scientific evaluation of rasayana plants along with other treatments used in ayurveda have borne out the fact that rejuvenating tonics have the capability to protect the body from the ravages of age and the damaging effects of the environment where we reside, by improving the body’s ability to fight disease carrying organisms via non-specifically activating the immune system. Many of the rasayana herbs contain antioxidants, which help to prevent the damage caused by free radicals. According to ayurveda, rasayanas bring about proper nourishing, growth, and improved function of seven tissues (dhatus). Rejuvenation therapy affects mind and body at precisely the same time. It prevents the ramifications of early aging on both and increases the body’s resistance to disease. If you are seeking natural wellness at affordable prices!.